Do you think your iPhone’s battery last shorter than it was before? Are you left wondering when the best time to replace your device’s battery is? If you are using an iPhone 6 and newer devices running at least iOS 11.3, then we have good news for you. 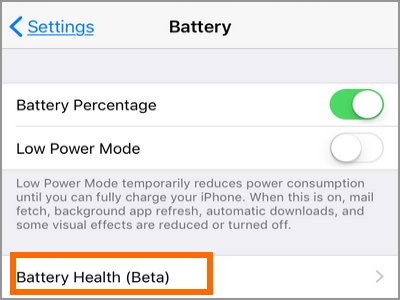 Apple has introduced a beta feature that allows users to check iPhone battery health and know if replacement is needed. Interested? Check out this article. All rechargeable batteries eventually need to be replaced. No matter how you maximize your device’s performance and follow best practices for the right handling of rechargeable batteries, they don’t last forever. Batteries are fragile things and require care. Apple knows this, so they designed the iPhone to adjust its performance to the state of the batteries. This good intention backlashed though as people started noticing that old iPhones ran slower than they used to. People sued Apple for intentionally slowing down the old iPhone models to entice people to buy their new models. 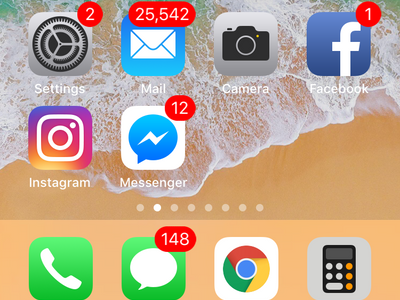 Apple dismissed this claims and issued a formal statement saying that the reason iPhones are slowing down is due to battery age. Regardless if Apple is telling the whole truth or not, there is a slice of truth to their statement. Batteries are not forever. All batteries, rechargeable or not, are consumables. Though some require replacement later than others, there will come a time when you need to replace your batteries. But when is the right time to replace iPhone batteries? When can one say that an iPhone’s battery is due for replacement? 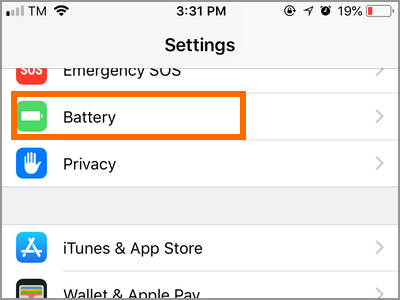 This article will teach you how to check iPhone battery health and know if it is time to buy a new battery for your device. 1.Get to your iPhone’s Home screen by pressing the Home button once. 2.From the Home screen, tap, and open Settings. 3.In Settings, scroll down and open the Battery settings. 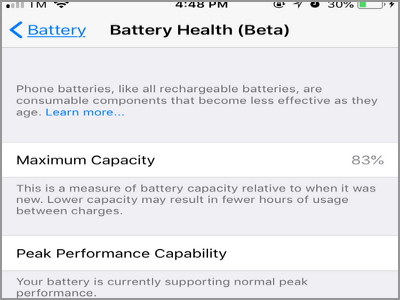 4.From the Battery Settings, tap on the Battery Health (Beta) option. 5.You are now shown with your iPhone battery’s health. •Maximum Capacity is the measure of battery capacity relative to when it was new. So if your battery capacity when it was new was 10 hours and your maximum capacity now is at 80%, it simply means that your battery’s capacity is now at 8 hours from 100% charged to empty. A normal battery has at least 80% maximum capacity. If your battery’s maximum capacity drops down below 80%, it is time to consider changing your battery. Aside from the inconvenience of having to charge your device frequently, low battery capacity affects your iPhone’s performance. Q: My iPhone’s Maximum Capacity is now at 79%, but I do not feel that it has degraded significantly. Is there a need for me to change my battery? A: If there is no issue with performance and your battery last as long as you expect, then you may not need to change your battery yet. However, we suggest that you ready up your funds for your battery and your phone may show signs of slowing anytime soon. Q: Can I change my iPhone battery myself? I planned on buying a battery online then changing the battery myself. 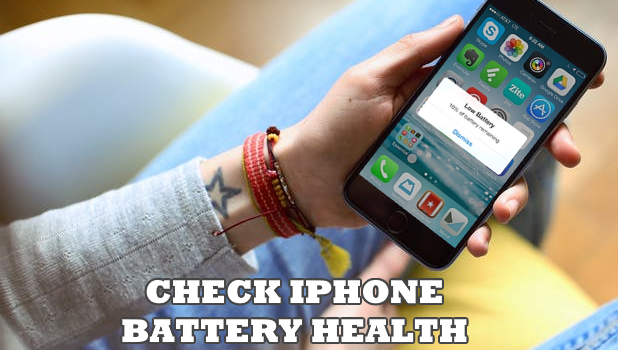 A: Unless you are highly trained, have the right equipment, and know what you are doing including the risks, we suggest that you have your battery changed on official Apple store and accredited repair centers. The money saved on doing a DIY replacement may not be enough to cover the cost of repairs due to wrong executions on your part. Q: I’m experiencing my iPhone slowing. Will changing the battery fix this? A: As long as your iPhone has no issues other than a failing battery, then changing the battery will improve your iPhone’s performance. Q: Why can’t I find the feature on my iPhone? A: The feature is only available to iPhone 6 and later models. Also, your iPhone needs to be on iOS 11.3 to have the feature on your device. The Battery Health (Beta) feature on iPhone is a helpful guide for users to know when is the best time to replace the battery. Now, you don’t have to guess and use your gut feelings to change your failing battery or worry if you are prematurely getting a new pack. You just learned how to check iPhone battery health. If you have questions about any of the information provided in this article, let us know in the comments section.